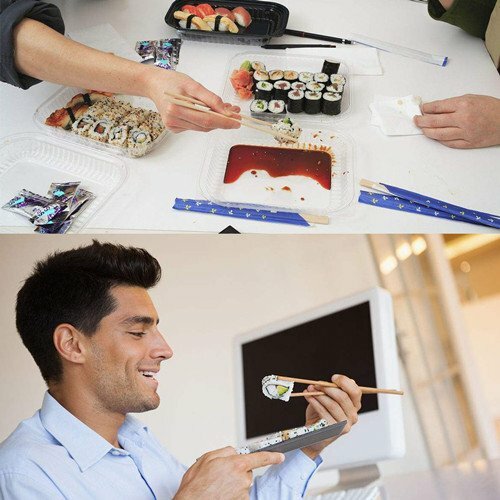 Sushi Bazuka easy-to-use sushi rolling mat will help you make differently professionally shaped sushi rolls in no time! 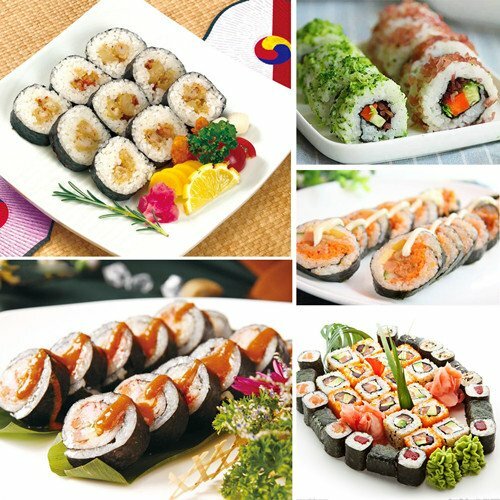 With our sushi maker, Sushi is so fast and easy to make it at home. Made of high end quality human harmless plastic, our sushi maker is durable and strong. Easy to wash: Open, Dismantle and Clean. 【SIZE & HEALTHY MATERIAL】- 11.81 x 1.77 x 2.76 inches. Includes sushi tube, plunger, and end-cap, all the materials of sushi bazooka are made of safe health food-grade plastic. Everything is as sanitized and hygienic as it gets! 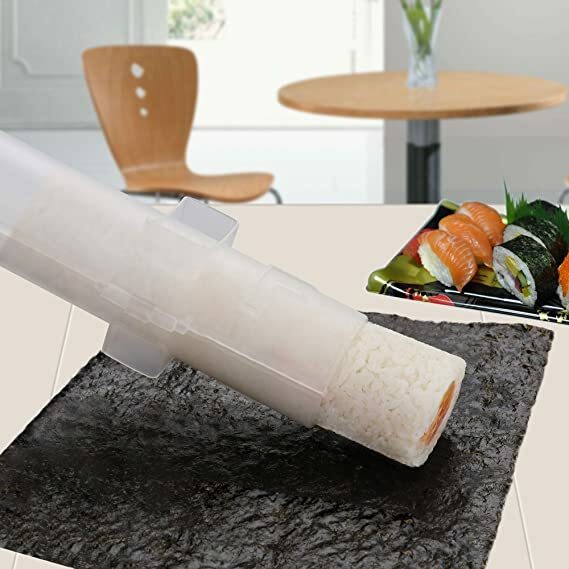 【EASY TO USE & CLEAN】- Simply lay your sushi rice and favourite ingredients into the sushi roller machine, close it, and press out a perfectly rolled sushi roll. The uniquely designed side clips make it would not pop off. Just takes a second to clean your sushi bazooka. Open, Dismantle and Clean. NOTE: Please add some oil to grease the sides of the cylinder. 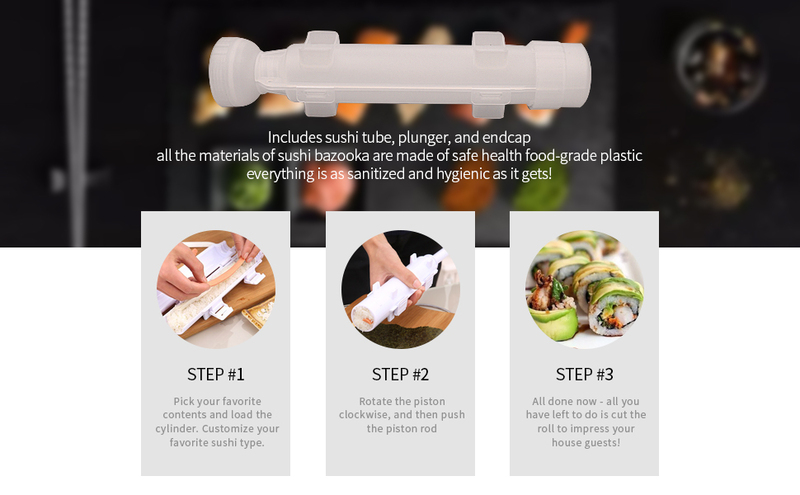 【ALL IN ONE & FREE GUIDE】- You can make a home sushi-party with one Sushi tool without waste your money and time on an entire sushi roller kit. The package include a helpful home sushi instruction guide. The easy-to-follow, step-by-step instruction are designed for beginners and first-time sushi makers. 【PORTABLE & IMPRESSIVE】- Without complicated Sushi Making kit, you could make sushi easily with our sushi machine on Camping, Picnic, Date Night, Family and kids gathering. DIY your sushi, it's up to you to create your favorite combinations. Make a unusual dinner to impress your friends and families. 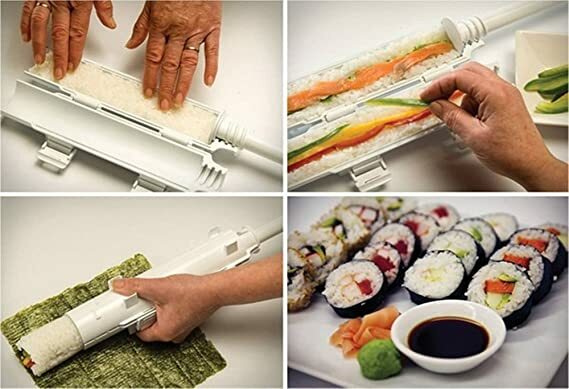 If you like Sushi, you have no reason to miss this Sushi Making Kit. Just imagine! You can make it any time you want with any stuff you like! Less time that it takes you to order take-out, and for half the cost of eating at your favorite sushi joint, you’ll have perfectly hand rolled sushi masterpieces. Make a home sushi-party or impress your sweetheart with unusual dinner. Gather family and friends for a fun sushi rolling party and enjoy the freshest, most flavorful homemade sushi made right in your own kitchen. It's the perfect sushi kit for beginners and fun for the whole family. Regular to At-Home Sushi Master!